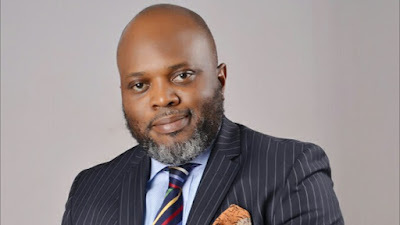 The presidential candidate of the Abundant Nigeria Renewal Party, Tope Fasua, has promised to “embarrass” President Muhammadu Buhari and the standard bearer of the Peoples Democratic Party, Alhaji Atiku Abubakar, with ideas on how to run the country. Fasua spoke in an interview with journalists in Abuja on Friday during the second edition of a political conversation themed, “Politics and good governance in Nigeria”, organised by the Nehemiah Apostolic Resource Centre School of Government and Politics. The ANRP presidential candidate regretted that Nigeria had not had vision-driven leaders. Fasua called on Nigerians to reject both Buhari and Atiku at the polls, insisting that, contrary to their claims, they were not equipped with the right tools to rebuild the country. He said that he would have an opportunity during the presidential debate to show Nigerians that Buhari and Atiku, both of who had been described as the leading candidates in the elections, were shallow with ideas. “I am going to embarrass them (Buhari and Atiku) with ideas because I can see that they are shallow with ideas. They don’t have much in terms of ideas. You can see it in the new documents that they just came out with,” he said. Na debate we wan chop?